I had a serious and scary flareup of RSI this weekend, so I decided to give Dragon NaturallySpeaking and Windows one more chance. If Dragon craps out on me again, I’ve discovered that I may actually be able to get in touch with Nuance technical support by posting nasty comments about them on their Amazon product pages. You’d think it would be more efficient to just answer customer e-mails in the first place, but apparently Nuance doesn’t agree. One other thing I’m trying, is to run Dragon NaturallySpeaking in Parallels 5 on my Mac. Parallels 5 is a little faster than VMWare Fusion was, and is actually usable on my MacBook for basic web surfing and other simple operations. However, I’m skeptical of its ability to run CPU intensive applications like Dragon NaturallySpeaking and FPS games. I am considering upgrading my Mac to either one of the new MacBook Pros or perhaps a Mac Pro if Apple ever gets around to releasing new models. 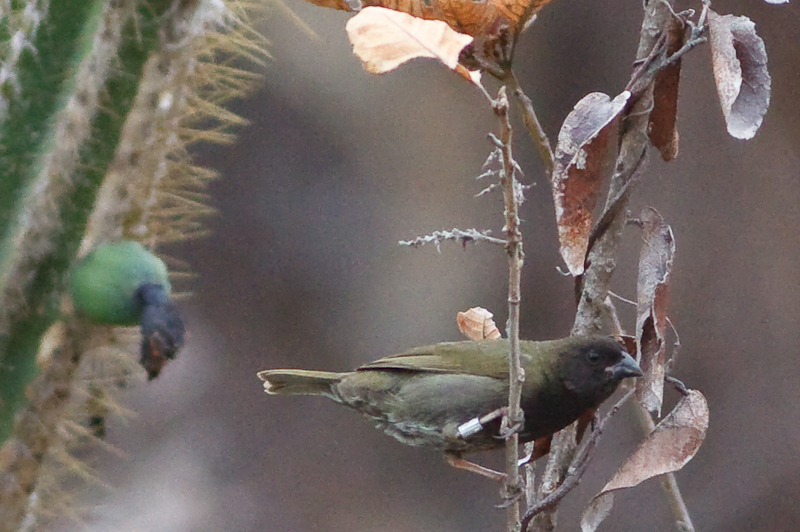 Only one life bird today, the endemic Puerto Rican Bullfinch. 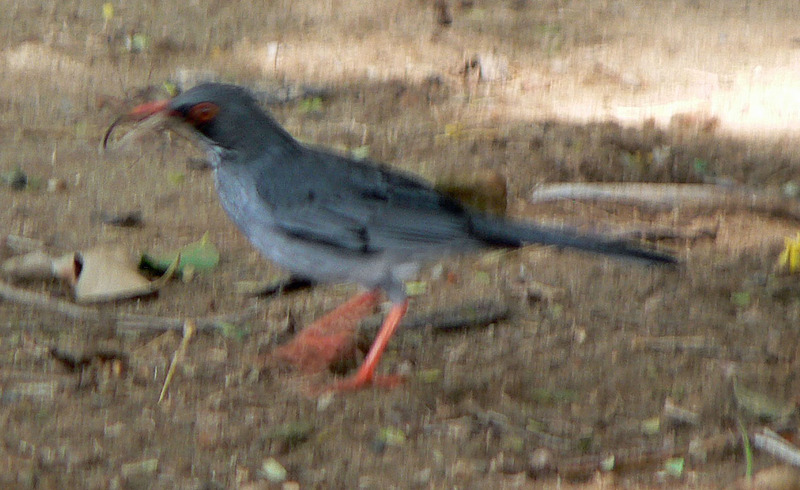 I saw it only very briefly; but it’s very distinctive and easily identified: a jet black bird with big orange on its head and throat. I saw this on the Ballenas Trail in the Bosque del Seco. 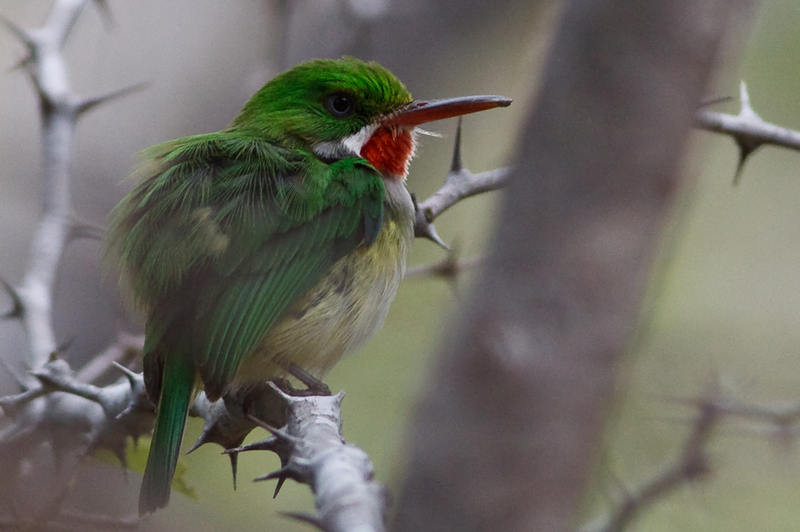 Unfortunately, I did not get a photo of this one, so how about a much better photo of a Puerto Rican Tody instead? Apparently it was a mixed flock so that’s #498 and #499. At least one of the grassquits was banded, though I couldn’t read the band. 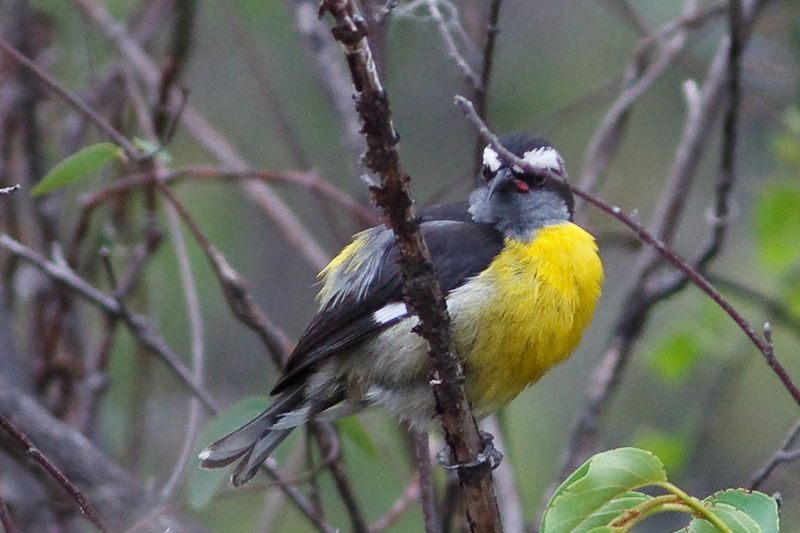 I later learned there’s been an active bird banding project in Bosque del Seco for a couple of decades now. Today was a break from birding. Instead Beth and I went to visit Viejo San Juan. It reminded me more of the French Quarter than anywhere else I’ve ever seen. Of course I did bring my binoculars, and Beth brought her camera. You never know when something’s going to surprise you in the middle of the city, and Viejo San Juan didn’t disappoint. The first surprise was what I first thought were Tree Swallows, but they were a little off. For one thing, when’s the last time you saw Tree Swallows nesting in the middle of the city? After consulting the field guide I realized we were looking at Caribbean Martins! I’ll try for a better photo Saturday when I’m back in San Juan with my real camera. 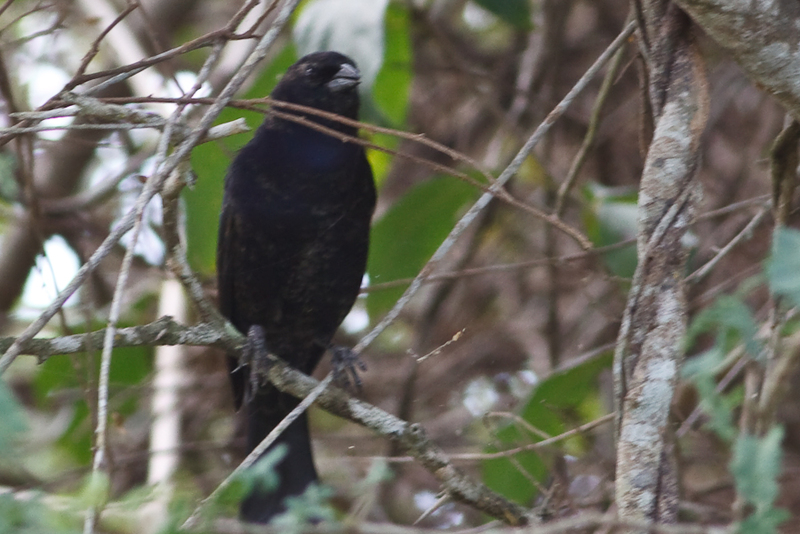 In fact I now think this is a Shiny Cowbird. You are currently browsing the Mokka mit Schlag weblog archives for April, 2010.